The thing about blogging is you can make a living out from it. You can stay home without going to office and work online from home. You don’t even need computer science degree or HTML/PHP knowledge to start one. You are the boss of your own. 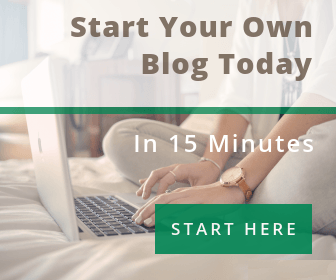 There are many other great reasons to start a blog today. However, the obvious one – you guess- money. If your goal is not to make money online, that’s fine. Still we will discuss with you in brief how to start your own professional blog without hiring anyone. There are many reasons why people blog. Mostly, blogging helps to enhance your both personal as well as professional life. There are various types of blogs – personal niche, fashion, travel, food, tech, business, and others. As the internet and technology has become more entrenched in our daily lives, the merits of blogging is priceless. The self-hosted software such as WordPress.org have made it even simpler and easier to set up a blog in just less than 15 minutes. In this fruitful guide, we will teach you how to start a blog. There’s no catch. Unlike other websites, we don’t charge a single penny from you or enforce you to do anything at all. That’s beyond our ethics. Just follow the guide precisely. The very first thing you need to do is pick a topic for your blog. This is the foremost important part. Pick a topic what interests you. If you love travelling, start a travel blog. If you are a music lover, write about your favorite bands or music taste. The visitors would love to hear about your experiences and suggestions. Don’t go for the topic which you are not aware of. Many bloggers has drastically fallen into deep hole due to this. Further, if you are good at multiple topics, you can write them using different categories. The second step is to pick a domain name. There are hosting services like Bluehost which comes with Free Domain and Free Website Builders with one click WordPress installation as well. Or you can go with Godaddy as well. You can also purchase domain from other hosting sites. Just choose a domain name and purchase from any site you trust. And remember, pick a catchy domain name. You don’t want your loving visitors to visit your blog just once, do you? Make it easy to type. Do not go with numbers and complex words. Keep it simple and short. Do not go with numbers and lengthy domains are a bit confusing. Make it catchy and memorable. Make sure your visitors will come back again. Appealing domain names are always appreciated by users. Choose appropriate extension. Extensions are suffix such as .com, .info, .net, etc. at the end of the web address. .com is the most popular extension but choose one which suits your business. Note: if you are a serious blogger, do not go for free hosted domains like blogspot or WordPress.com domains. Hosting means space. This is where you store your texts, images, and all your blogging ideas. There are chunks, literally chunks, of hosting services available in the market exceedingly. Probably, your head would spin if you have to pick one since their price ranges are also very wide. Our personal recommendations are Bluehost or Hostgator. They both come with affordable price + have great 24/7 tech support. Moreover, they have unlimited disk and bandwidth space so that you don’t have to worry about how much bandwidth is covering up on your site. Yes, to be honest, they sometimes go down but its once in a blue-moon when they decide to upgrade their hosting plans. Our personal recommendation is HostGator because they come with unlimited bandwidth on very low price. If you use our HostGator Affiliate link, you’ll get Up to 30% 60% Off + $4.99 Select Domains on your plan. HostGator has sponsored us to promote their hosting plans. We could choose to be an affiliate for any other hosting company, but we chose HostGator due to their incredibly low costs and amazing 24/7 customer support. Their one-click WordPress install is perfect for enthusiastic bloggers who are starting new blogs. Click Here and enter the Promo Code: WPSQUASH60 to claim your 60% discount + $4.99 Domains on hosting plans. WordPress All the Way !! If Albert Einstein lived today, he would have used WordPress as his platform to share his creative science ideas. Many successful bloggers are very passionate about blogging platform. With little knowledge, they can easily blog post with minimum effort without having a programming skills. We don’t even want to waste our time discussing about other platforms. Lots of free themes and plugins available. 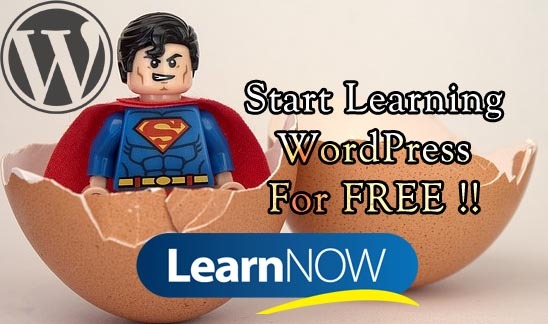 Need Help Installing WordPress for Free? All you need to do is pick a WordPress theme. There comes a loads and loads of free WordPress Themes you can download from WordPress.org. Or you can also download premium themes from reliable places like Themeforest CreativeMarket for less than $60. But make sure you want the correct design for your blog before purchasing a theme. As discussed in our previous WordPress Tutorials, Premium Themes are always recommended over Free Themes because of its unlimited features, clean and responsive designs, and most of all they come with free 1-year support with Updates. We have demonstrated how to Add Pages and Posts in our very own Free Tutorial. You can check it out there. Adding Plugins in WordPress is quite easy. If you don’t know it yet, follow this guide. Plugins control the behavior of the site. Many newbies get confused with Plugins and Widgets thinking they are the same thing but it’s not. Widgets are a part of Plugins. We have a few recommended plugins which is essential for every kind of WordPress sites. Akismet: Akismet is a great plugin to stop spam and junk comments on your site.This plugin comes installed with fresh WordPress installation, and all you have to do is activate it and sign up for an account at akismet.com. Yoast SEO – The best SEO plugin out there and must recommended plugin. You can easily create meta tags and description for your posts and pages. Moreover, the plugin make it easy to optimize your titles and create a sitemap without having to do anything. Learn more how to setup Yoast SEO from here. Google Analytics For WordPress – This plugin tracks your website to find out who is your reader, where are they coming from, and which posts are the most popular on your site. Our personal recommendation plugin is Google Analytics for WordPress by MonsterInsights. Jetpack – Jetpack, simply speaking, is aimed at super-charging your WordPress site. With this amazing plugin, you are able to add a spell-checker, social sharing, security and backups, contact forms, extra widgets, and a whole slew of more features, all for free. W3 Total Cache – W3 Total Cache main aim is to speed up WordPress site from loading. It improves the SEO and user experience of the site by increasing website performance, reducing download times via features like CDN integration. It is easy to use and setup. Sucury Security: One of the most reliable security plugin is Sucury Security anti-malware plugin. This is our personal best plugin and we use on every client’s project. And There You Have It !! You’re now officially a blogger !! You have all set it up. Keep on writing your interests and hobbies on your posts and share it with your friends, families, and close ones. If you want to be a serious blogger, write a high quality blog posts at least 3-4 times a week. And remember one thing. Do not go after monetizing your blog, yet. It will eventually come later. We hope this long fruitful post helped you, if it did we would like to ask something in return. Take a moment to share it via social share icons to your friends. Once, you’ve posted your very first article, leave a comment in the box below. We will take our time to look at your blog and give you a free counselling. WpSquash © 2019. All Rights Reserved.